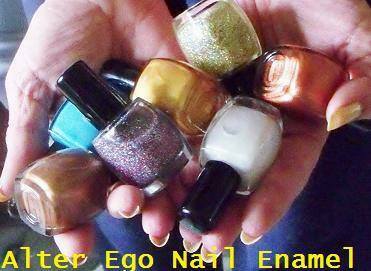 Today's giveaway is sponsored by the lovely Cynthia of Alter Ego Nail Enamels! Although I haven't had a chance to work with Cynthia as yet, she's always been a big supporter of ColorSutraa and never fails to generously participate in all my giveaways! I'm so thankful for her generosity of spirit and her support! 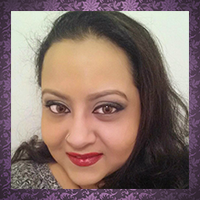 Three lucky winners will walk away with a full-size polish of their choice from her store!